FAKE-NEWS: Weak fakes can be as effective as deep fakes. The need for empirical providence and proper context continues to be a large problem not being solved for. DOJ: Businesses Can Discriminate Against Transgender Workers (1) . Our government continues to legislate hate and death in the case of health care. PRIVACY: We see what you are doing – data harvesting companies that post data reading lists in blog posts – please. The glitches in the Simulation are becoming more and more pronounced. LIVE: Future investment initiative Day 2 live now. OP-ED: The Poison on Facebook and Twitter Is Still Spreading [NYT] The companies have all the tools at their disposal and a profound responsibility to find exactly what journalists find — and yet, clearly, they don’t. MUSIC: YouTube makes it simple for fans to experience live performances with Eventbrite Through our partnerships with Eventbrite and Ticketmaster, YouTube now covers more than 70% of the US ticketing market. MEDIA: Money for nothing: copyright law, YouTube, and the future of music [Part I] to earn the US minimum wage, an artist needs 610,465 streams on Spotify per month. ART: Robots Love Music at Museum Speelklok, Robot Love exhibition, Eindhoven. Ed note: Jury duty this week, next to voting its one of the best ways to participate in the democracy. MAN-MACHINE: ABOT The Anthropomorphic Robot Database The ABOT (Anthropomorphic roBOT) Database is a collection of real-world anthropomorphic robots that have been created for research or commercial purposes. Currently, our core collection features more than 250 robots. MAN-MACHINE: The Crisis of Intimacy in the Age of Digital Connectivity [lareviewofbooks] the essence of the human will become what is not information, and the essence of intimacy will be in sharing what cannot be shared over the networks. Secret names have always stood at the center of what is holy. INFO-SEC: (video talk )Bruce Schneier: “Click Here to Kill Everybody”| [YouTube] Talks at Google Computer security professional, privacy specialist and writer Bruce Schneier discusses “Click Here to Kill Everybody”, his latest book exploring the risks and security implications of our new, hyper-connected era. INFO-SEC: Smart Home Surveillance: Governments Tell Google’s Nest To Hand Over Data 300 Times “People who use Nest must be told that very private information about what is happening in their homes is being recorded and could be shared, without prior notice, with law-enforcement when it obtains proper legal process. 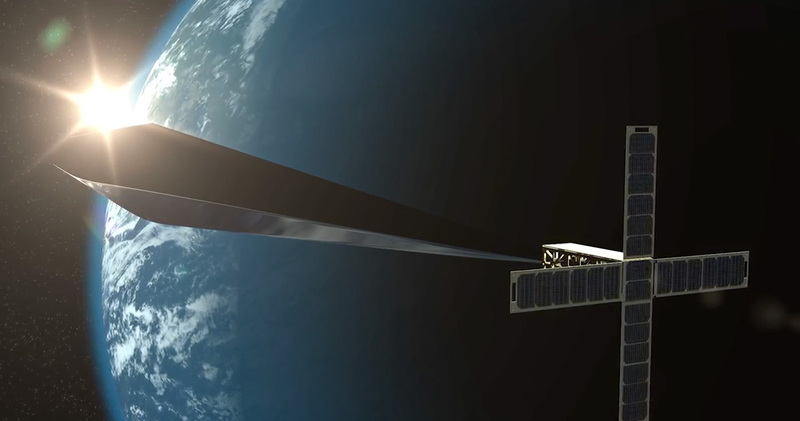 ART: Orbital Reflector site, video and this reflector shot Trevor Paglen: Orbital Reflector, co-produced and presented by the Nevada Museum of Art, Why I care, right nexus of art, eng and space. – “Making Visible The Invisible” is also straight up perfect. Launching soon. MUSIC/AI: Piano Genie – Piano Genie allows anyone to improvise on the piano. SERVICE: Google One (subscription service) Expanded storage, access to experts, and more — all in one shareable plan. The biggest news here is – wait for it,- people you can access! .Get direct access to people who speak fluent Google. If you need help with our products and services, our team of experts is here for you. PRIVACY: Stop Saying Privacy Is Dead [Evan Selinger] As privacy scholar Josh Fairfield says, while some dismiss privacy concerns by saying they have nothing to hide, we shouldn’t accept that argument from anyone wearing clothes. BOOK: Haruki Murakami Says He Doesn’t Dream. He Writes. [NYT] What do you dream about?I don’t dream, except maybe once or twice a month — or maybe I dream more but I don’t remember the dream at all. But I don’t have to dream, because I can write. INFO-SEC Internet Hacking Is About to Get Much Worse [NYT] We can no longer leave online security to the market….These are problems that the market will not fix. Buyers can’t differentiate between secure and insecure products, so sellers prefer to spend their money on features that buyers can see. TV/VIDEO: asiCast 84: Innovations in television and video . [mp3] . As the technologies transforming all communications have converged, we need to revise our understanding of viewing behaviours. MUSIC: Playlist Shuffle – [GITHUB] Novel approach at shuffling a looping sequence. compares various ways of generating a shuffled looping sequence, measuring statistics on the distance between duplicate entries. The application example of a music album (~12 songs) being played in a loop is not as contemporary as it used to be. This paper disregard that an easy way out of the problem is to add more songs, such that the shuffled sequence never needs to loop in one listening session. Photo credit (m.ghuneim) Ugo Rondinone work from .. KNOCK KNOCK: Humour in Contemporary Art in a former Peckham Road Fire Station.